This year, the K-1 teachers put together a handprint gift for the parents. 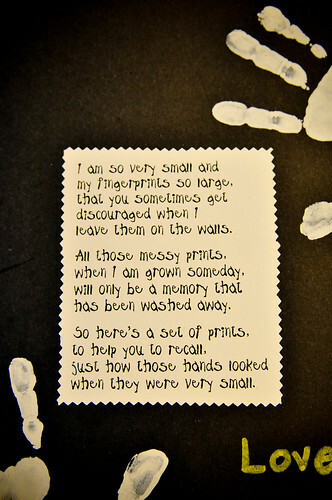 On the left side is a black and white photo of the student and on the right side, a set of their handprints were matted around the message. Hope this poem warms you up this holiday season...have an amazing day!